By CoreT2018	1 Comments Studies Dealing with sugar cravings, handling food cravings, how do I handle food cravings, How do I start intermittent fasting?, Intermittent fasting, Is intermittent fasting safe? I have notoriously struggled with goal setting and personal accountability. I believe somewhere in my blueprint, I was cyclically wired to remain personally accountable for only two weeks at a time. Along the journey I figured out that I am an Obliger (thank you The Four Tendencies). One of the greatest characteristics of Obligers is that they prefer to answer to someone, let another person help hold them accountable. When I stopped seeing this as a negative trait and welcomed it as a tool for personal growth, things changed. Reaching out to others, setting vulnerability aside, and working on clear communication has made a world of difference in self-exploration and growth. Fast-forward to four months ago, one of these conversations needed to happen. Two months earlier, my mind and body were absolutely going through a shift that I could only imagine was hormonal in nature. At just over a year post partum, I lived with this supposed hormonal shift for two months, kept quiet trying to self analyze and figure out what was going on. When I was overcome with negative emotion and a mindset very unlike that of my own, I was scared and I knew it was time to reach out. Thankfully some of my closest friends are also some of my health care providers who I entrust with my health and the health of my family. In conversation, I shared the heaviness I was experiencing both physically and mentally. With open ears and a very open heart my friend suggested several things, including an approach to self-healing I had not yet fully grasped. Knowing that we both have tremendous respect for the body’s ability to heal, we agreed that spending some time really cleaning up some of its systems would benefit my overall state of health. For the last four months my health conscious lifestyle has shifted a bit. It has taken on new challenges, happily, and a new perspective, a lot of which surrounds the idea of “food as fuel.“ The conversation in our house has changed as we self explore what works for us and what doesn’t. I have been intermittent fasting for three months, consciously shifting from needing food packed in my purse, diaper bag, car’s center console and for breaks between patients. This was a choice I made, with guidance, after my very vulnerable conversation. I read a lot and really wanted to understand why intermittent fasting is encouraged for some people. Above all, this was a chance to shift my body from being on the detrimental glucose roller-coaster, to getting back in touch with mindful eating. To allow my cells to really detox and rid themselves of toxins enough to rebuild stronger and better! I will happily share after only a few weeks of beginning intermittent fasting, closing down my eating window, and upping my fat consumption, I truly felt recharged. There has not been the slightest shift to negative thought in the last several months. My immune system has withstood some serious mommy snuggles of sick and very feverish kiddos. I have not had a single craving for sugar, which is just amazing given my relationship with that drug for all of my years! In the moments where the cookie trays are sitting there on a shiny pedestal, my mindset has again and again proven resilient. I felt confident to dive a little deeper, joining Drs. Sonners’ Stemnotic Solutions Program. Right before the Program began, my husband and I had our blood drawn to truly measure the potential benefits of our efforts throughout the Program. I am excited to see where this takes us and how it will resonate with us as the weeks build. There has been an overall gratifying feeling with my acts of self-care. Cravings have subsided and goals have remained intact. As a family, our vision of food and its strong presence in our life is shifting. 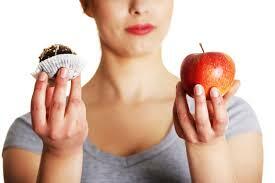 We are not eating any less or depriving ourselves, but we are changing the emotion around it. I think it is so important that we all remain open to changes in approaches to health. Whether initiated from a conversation, an experience, or from an educational platform, we constantly question and re-evaluate, always striving to be our healthiest and happiest. What is Functional Neurology for Children? Single Leg Stability by Dr. Matt McGowan D.C.